Events from the year 1771 in Canada. Captain James Cook completes his first voyage around the world. 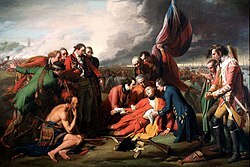 Lieutenant Governor Michael Francklin of Nova Scotia travels to northern England to seek immigrants to replace those displaced by the Acadian expulsion. This page was last edited on 20 January 2018, at 08:30 (UTC).